Learn more about best practice options to consider when addressing open space and offsetting carbon emissions at the local level. Cities and counties are leading by example and undertaking a range of activities to create more sustainable communities. These case stories review different local agencies’ experiences related to open space and offsetting carbon emissions. These resources will help inform your open space and offsetting carbon emissions activities. Resources include links to organizations, state and federal agencies, tools, guides and tip sheets to support your work. You’ll also find examples of programs and materials from cities and counties. 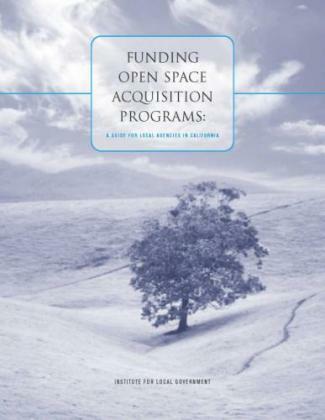 Watch ILG's webinar "Opportunities to Fund Local Parks and Open Space"